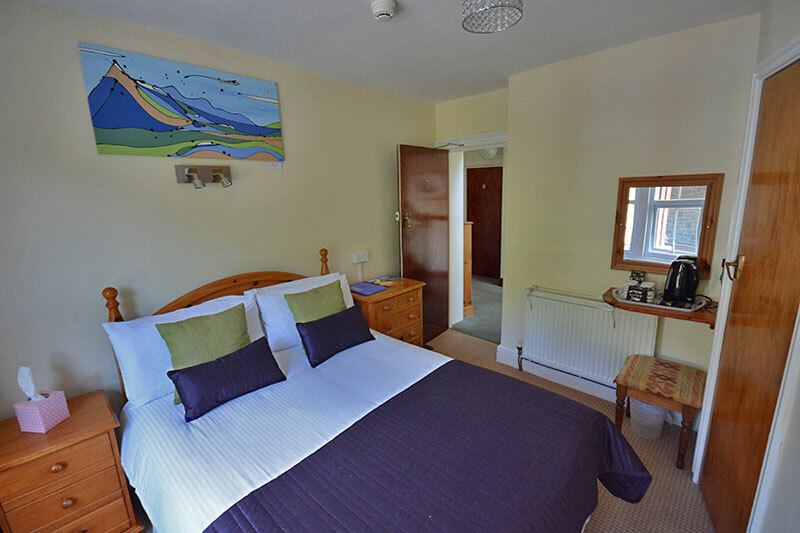 Bryn Llewelyn Guest House offers bed and breakfast accommodation in Snowdonia conveniently located in the centre of Betws-y-Coed. The accommodation is non-smoking throughout. There are 3 double bedrooms, a single bedroom, 2 twin bedrooms, and a bedroom that can be used as a family room or twin room. 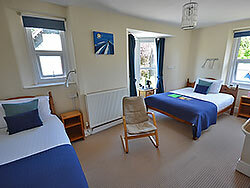 All rooms include free Wi-Fi, a TV, hair dryer and tea and coffee making facilities, as well as a welcome folder. 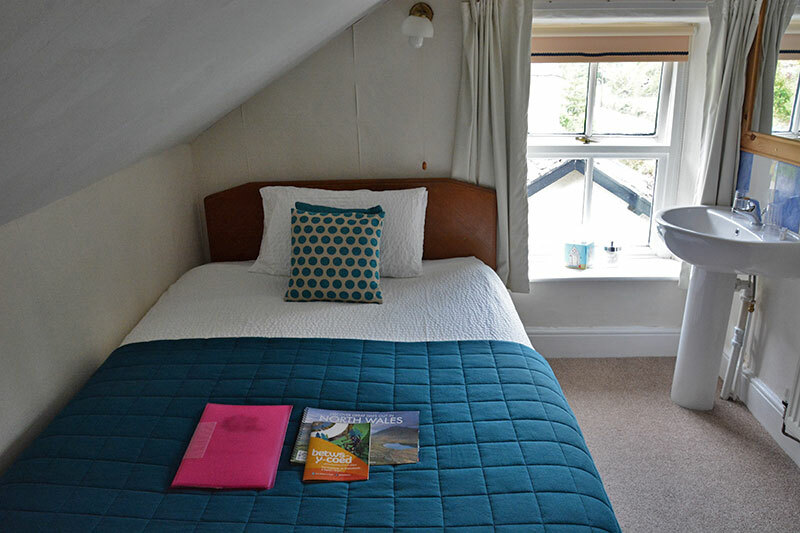 This comfortable room has lovely views of the village. 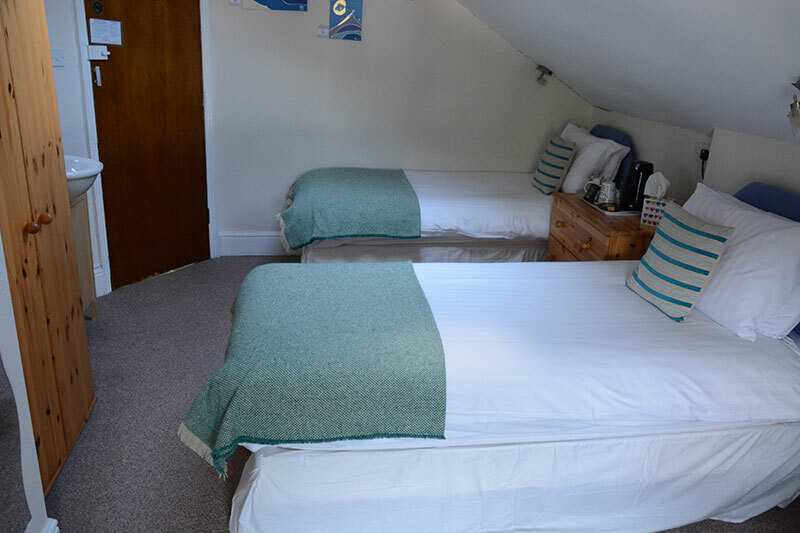 It features a double bed with a small private external shower room approximately 2 metres outside the room: robes are provided. 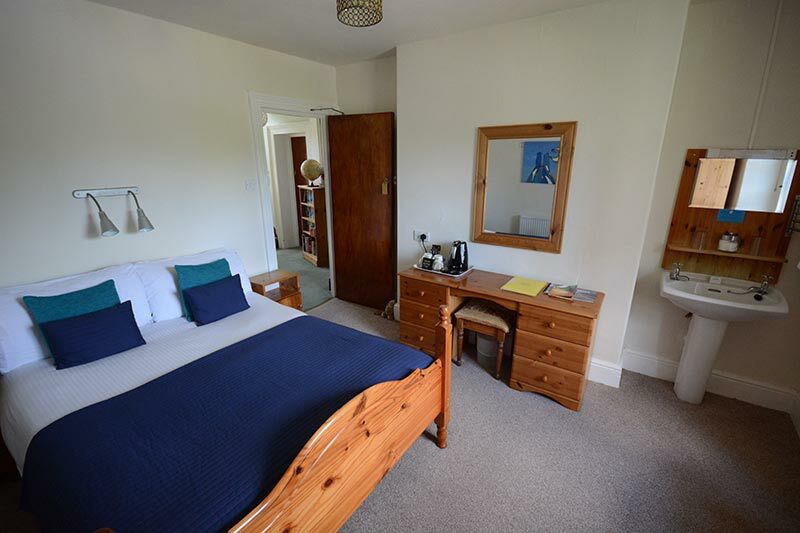 This rooms features a double and a single bed. Sleeps a maximum of 3 people. It has a small en-suite shower room. 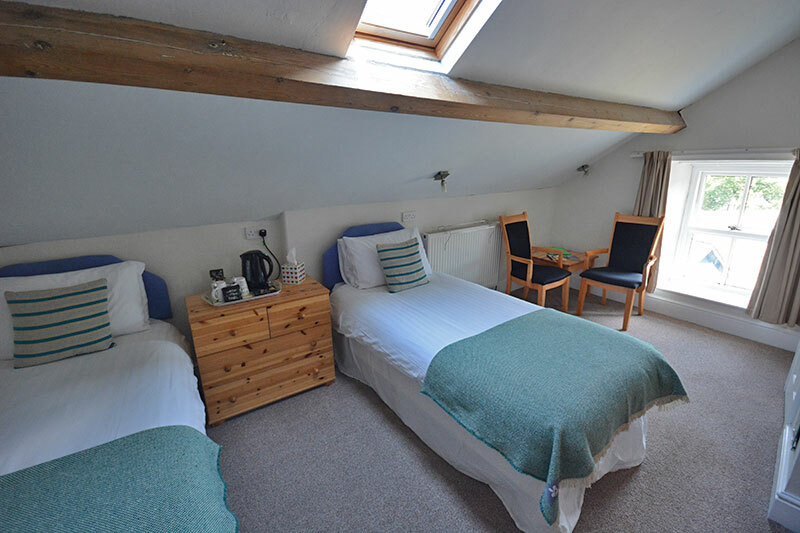 This comfortable room features a double bed and a private external shower room. 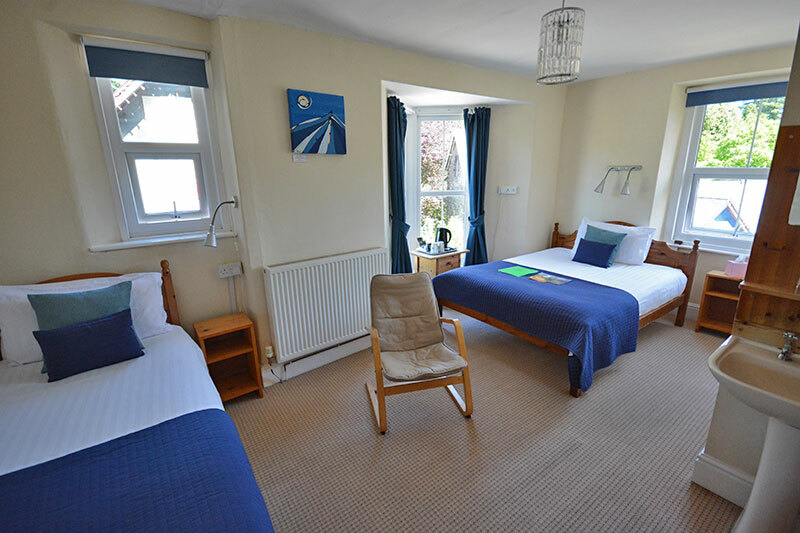 Please note that one side of the bed is against the wall and the private shower room is on the floor below (robes are provided). 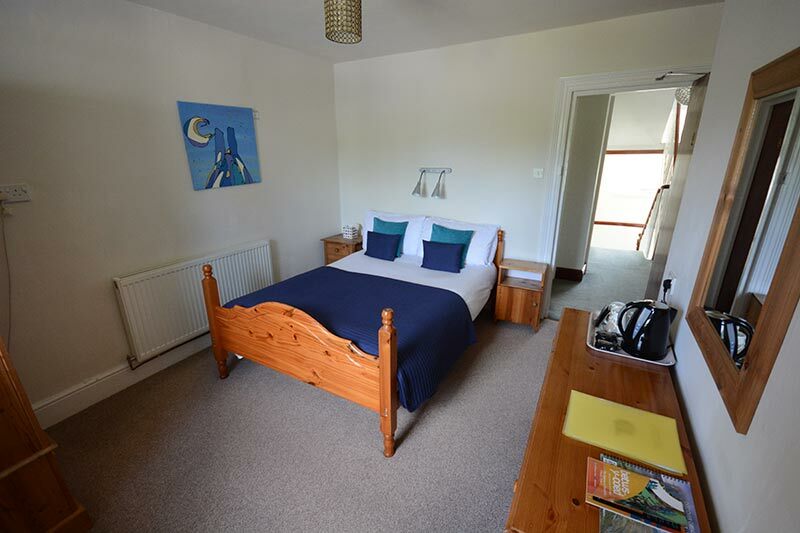 This comfortable room features a double bed and a small en suite shower room. 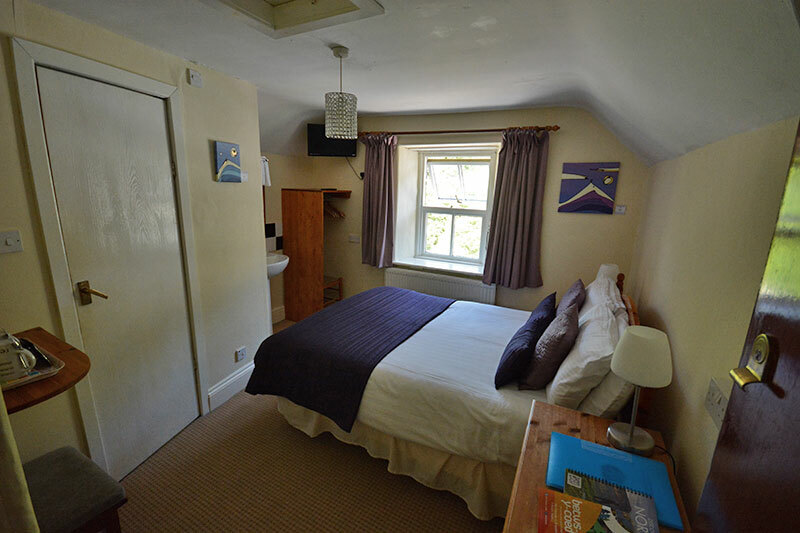 This comfortable room features two single beds and a small en suite shower room. 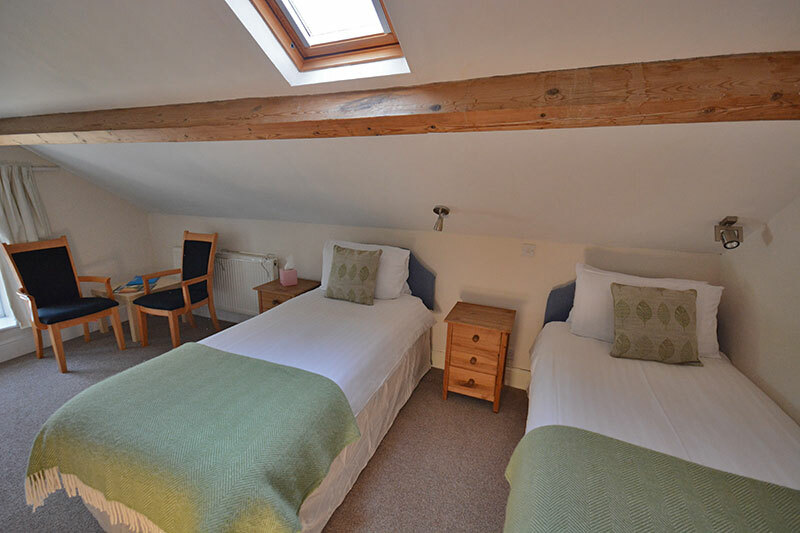 Both twin rooms have a small seating area and views of the village. 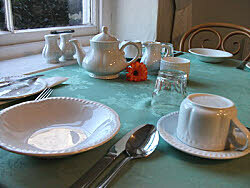 A traditional full cooked breakfast is provided with a vegetarian option. Local produce is used where possible. Special diets such as gluten free or dairy free catered for with prior notice. 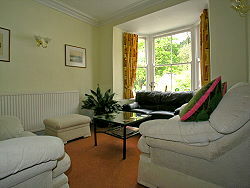 Guest lounge with books and maps to plan your day during your stay in this beautiful part of Snowdonia. Free car parking for guests, bike storage, and drying facilities. If cancelled with less than 7 days notice the full reservation will be charged. Check in hours are between 16.00 - 20.00: please call us directly to arrange check in outside these hours. Check out is 10.15 am. Take advantage of our special discounts for stays of 4 nights plus and 7 nights plus. 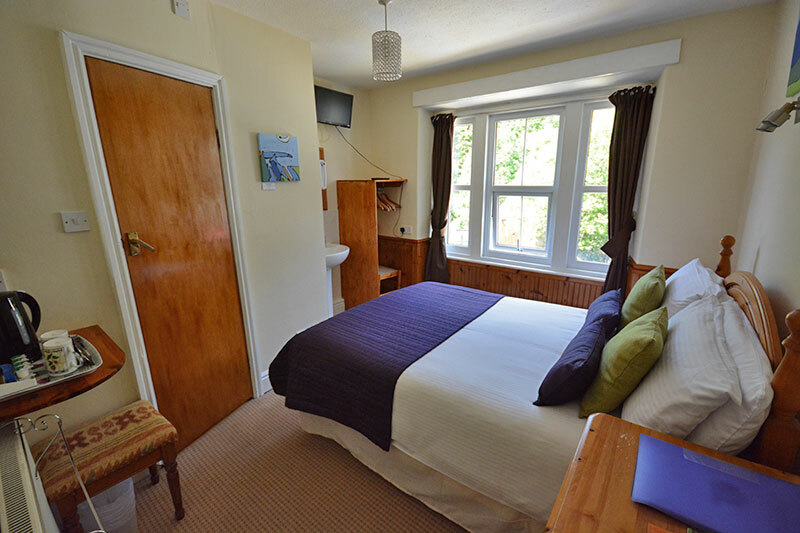 Use our online booking page to check availability and book your stay at these special rates. "Another cracking weekend in Snowdonia and another great stay at the Bryn!! " 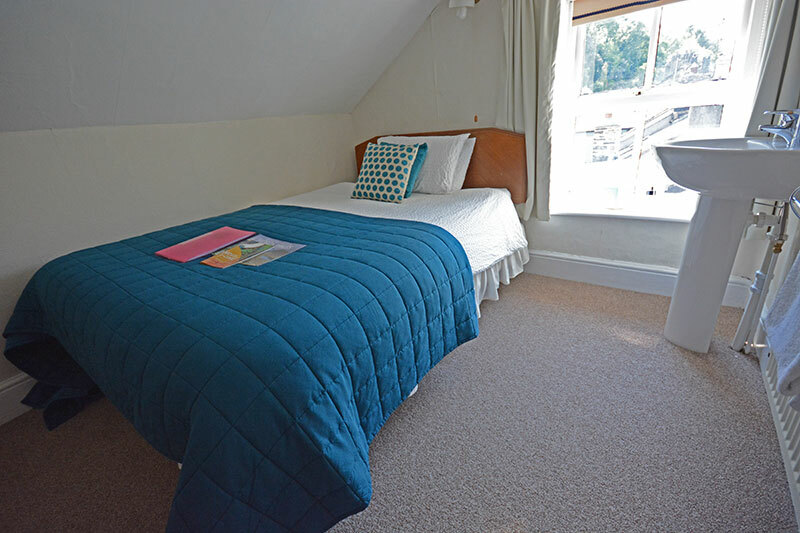 "Everything we like about B&Bs is here – friendly hosts, good comfort, good food. Thanks so much." 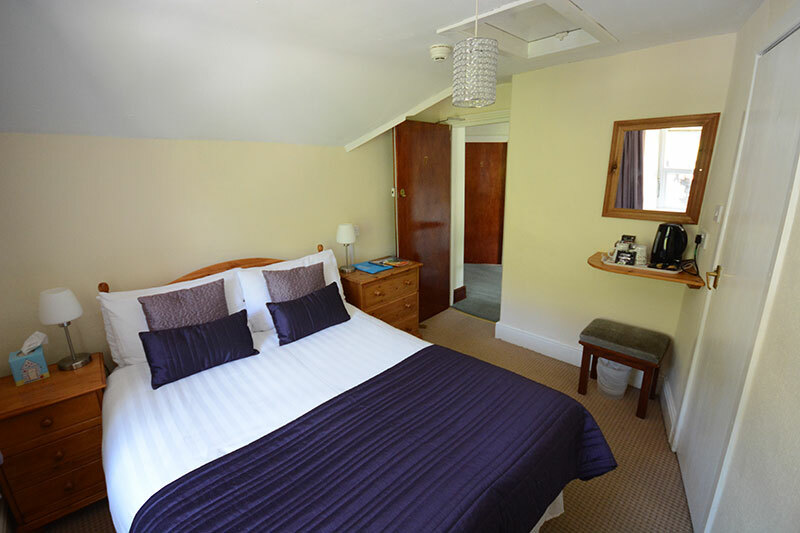 "Thank you for looking after us so well, the room was lovely and the breakfasts were superb. 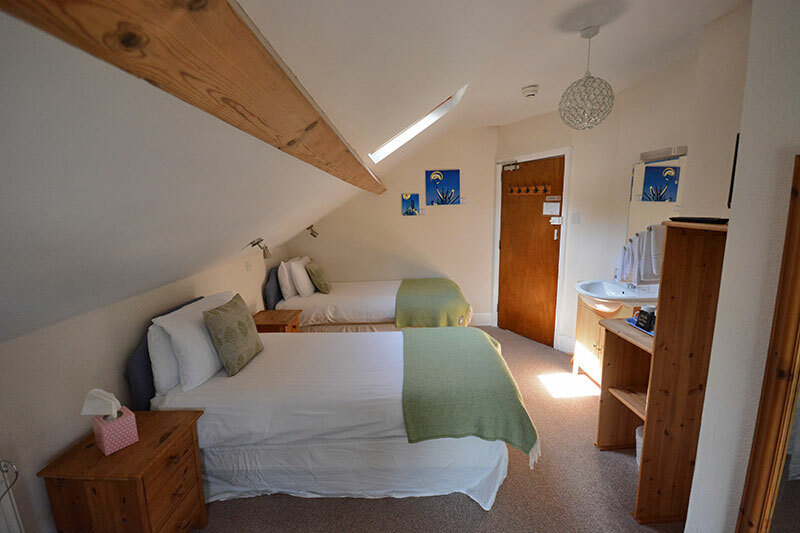 A lovely place to stay which we will recommend to others. Thank you again."